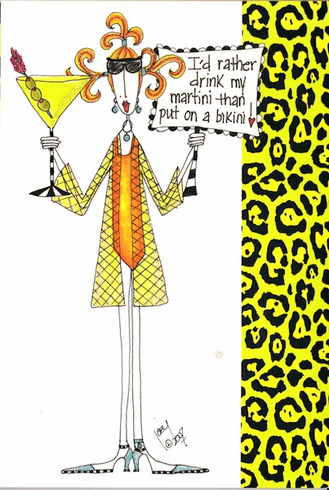 OUTSIDE: I'D RATHER DRINK MY MARTINI THAN PUT ON A BIKINI! INSIDE: At our age it's best to leave something to the imagination. Here's to one more year and a little more fabric.